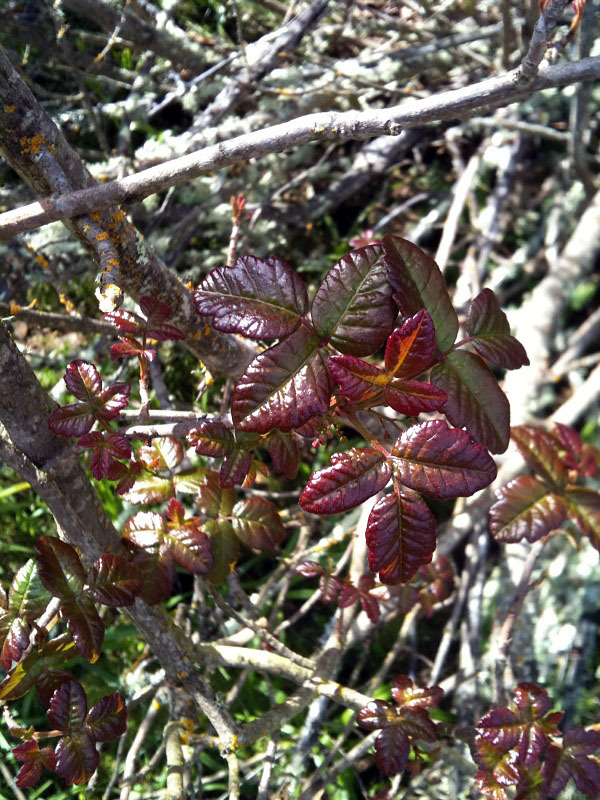 Poison oak shoots are already exploding in their red, juicy glory. This is a good time to brush up on your poison oak knowledge as identification and prevention is key. The post Poison Oak photos and remedies – superbloom appeared first on Mountain Bike Review. Well, it’s 2019 and with record rains, the superbloom phenomenon of flowers is so vibrant it’s visible from satellite photos from space. Unfortunately, this life force of water and sun have boosted the poison oak harvest as well. It’s out in force and it’s about to explode as the warm weather arrives. The single most important measure is avoidance. 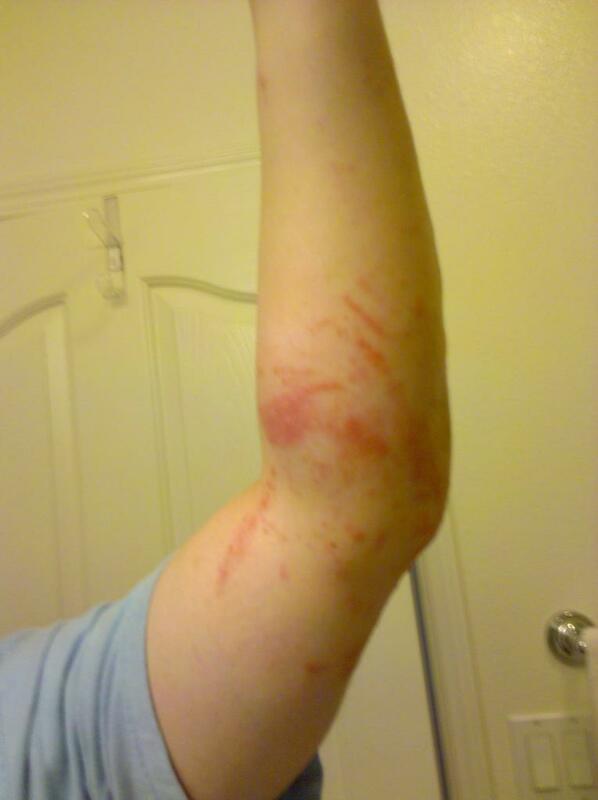 One needs to know where the local poison oak thrives and avoid that area for the first few months of spring. Then, coverage is key is as any barrier between the plant and human skin will pay dividends. Finally, when one touches the plant, proper cleaning, treatment should be performed meticulously. And when one gets a major oubreak. Absolutely consult with your physician as the most effective treatment, prescription steroids can only be safely prescribed by a doctor. Prime mountain biking season for the warmer parts of the country. Mtbr is based in Northern California and we’ve had the driest January and February on record. 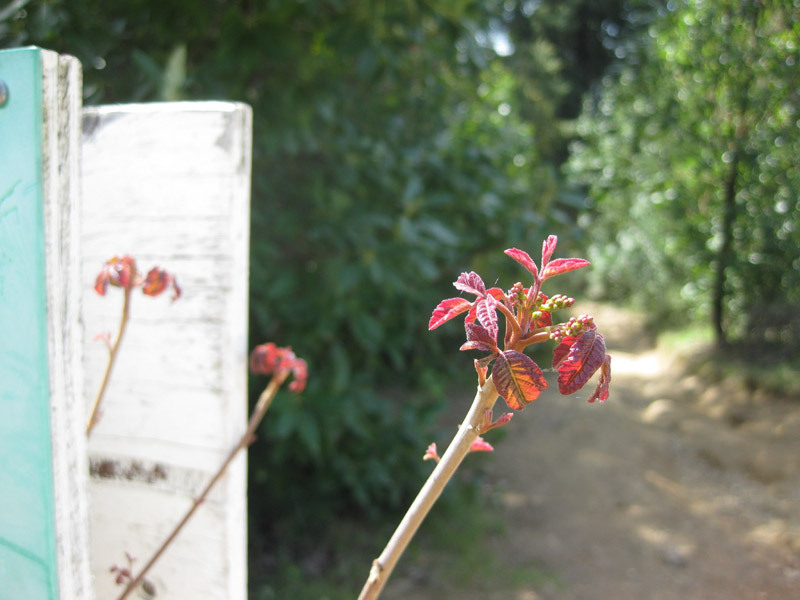 Poison oak shoots are already exploding in their red, juicy glory. This is a good time to brush up on your poison knowledge as identification and prevention is key. We are not botanists but it is our business to understand this evil weed as it affects our mountain biking. No other trail hazard out there can be as damaging and bothersome to our riding. The problem is, it doesn’t have barbs or jagged edges that will cut us and let us know that damage has been done. It is like a seed that will incubate over the next day or two. And when it’s ready to do damage, it can fester for weeks and months. It is not just an itch. It is a burning, skin eating disease that can stop us from riding, getting out in the outdoors, drinking beer. Basically, it can land us in the hospital. So read on and be informed. Urushiol oil is found in all parts of these plants, including the leaves, stems, and roots, and is even present after the plant has died. Urushiol is absorbed quickly into the skin. It can also be inhaled if the poison plants are burned. The smoke may expose not only the skin to the chemical but also the nasal passages, throat, and lungs. Inhaled urushiol can cause a very serious allergic reaction and can surely land a person in the hospital as no topical cleaners or ointments can reach the body’s internals. 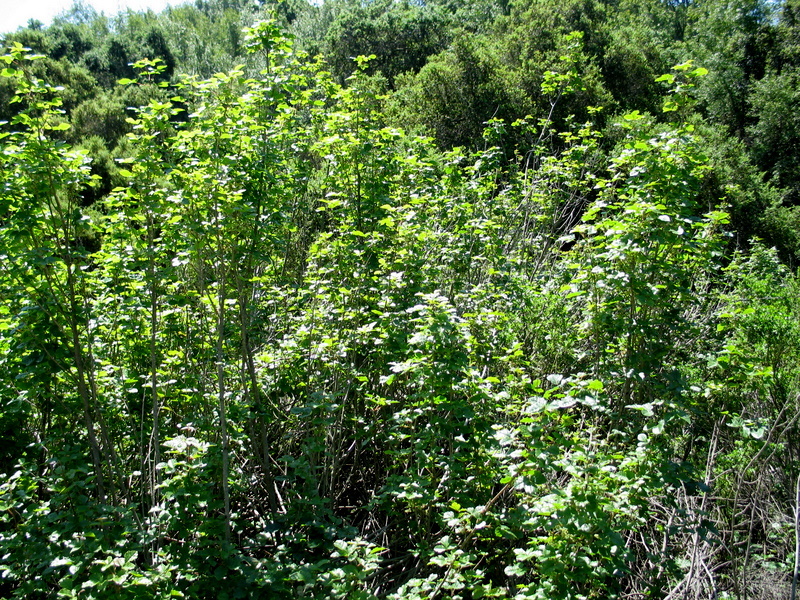 Poison Oak is highly variable in appearance. It varies from shrub to vine. The leaves vary from red to green. 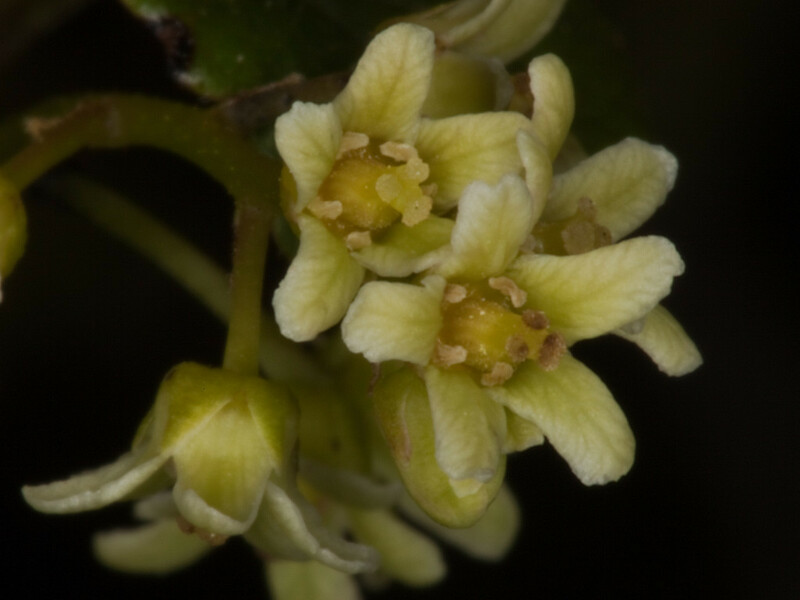 It has long stems, leaves in threes, small greenish flowers, and smooth seeds that are about 1/4 inch across. It is often lush in coastal canyons, but sparse in the mountain woodland. It is deciduous, and often looses its leaves in late summer, leaving it hard to recognize. But the long, straight branches give a clue. Poison-oak is usually a shrub, though it sometimes becomes a vine several inches in diameter that grows high into the oak trees attached by air-roots. The leaves DO come in threes. They are shiney, without prickers, and the middle leaf has a distinct stalk. It is harder to identify Poison Oak in the winter, when it loses its leaves and looks like erect bare sticks coming from the ground. In the spring, it is easy to detect as the baby leaves shoot out in their full reddish glory. This is when the urushiol is most potent and the slightest contact with these reddish stacks will result in bad exposure. It is found in damp, semishady areas near running water and also thrives in direct sunlight, requiring water only in early spring. Any trail leading to a waterfall on California’s coast may likely be home to western poison oak; it can also be found in some inland mountain ranges, such as the Cascades. It needs sunlight though so very shady places like redwood forests minimize the growth of these plants. Also, at higher elevation like over 6000 feet, they are not able to thrive. The plant toxin produced by members of the genus Toxicodendron, called urushiol, is known for causing an uncomfortable, and sometimes painful, skin reaction. Urushiol is the main component of the oily resin that is found on the stems and leaves of poison ivy and several other related species (Hogan, 2008). It causes contact dermatitis — an immune-mediated skin inflammation (Kalish et al, 1994) — in four-fifths of humans. 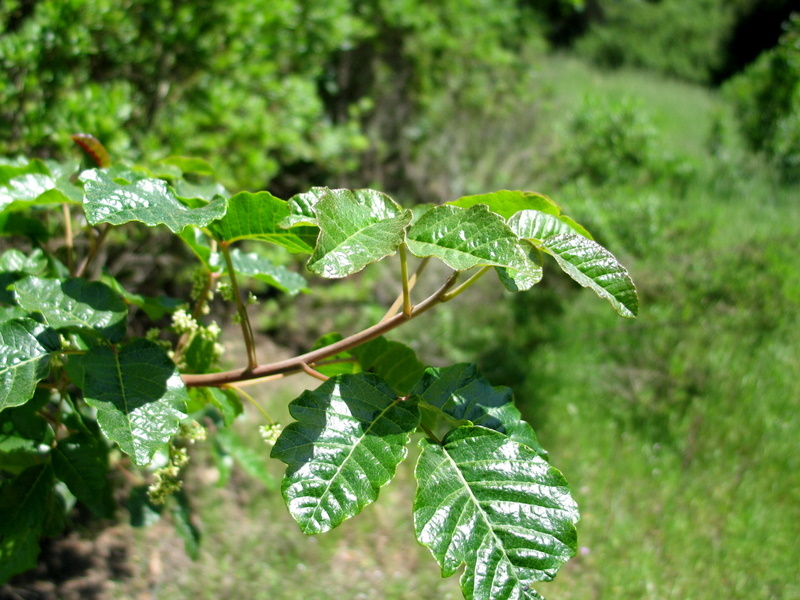 Effects of poison oak are similar to those of poison ivy. It first causes severe itching, evolves into inflammation, colorless bumps, and then blistering when scratched. In late fall or winter, there are no leaves on the plants, so they can be difficult to recognize. 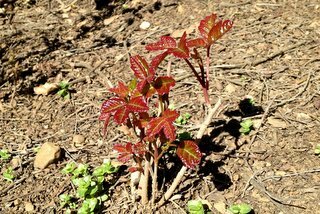 Read on for advice about poison oak. 1) Know what it looks like and where it lives – You need to get familiar with all its mutant forms and how to identify it quickly. In spring, it is fairly easy but when the red stalks are gone, you need to be able to tell just by leaf shape alone. 2) Do not go there – Once you know where it lives, just don’t go there when it’s peak season. Go somewhere else or go in that trail with a hazmat suit. 3) Dodge it – It takes years of training to ride singletrack at 20 mph, spot the poison oak and dodge it with full body english. You need to duck, hop, zig and zag. If you are going to make contact, slam on the brakes and walk. Do not touch it! 4) Wipe, wash, sterilize your gear immediately. 5) If you’ve made contact, you have a few hours to minimize the damage. This can be the difference between an itch for a day or a pure misery for weeks. Wash up with Technu Extreme, Turpentine, Dawn dishwashing detergent, a rough dry soap that breaks up oils. 6) Do not scratch. Do not sweat and don’t expose it to sunlight. 7) Do not experiment if you have a severe case. 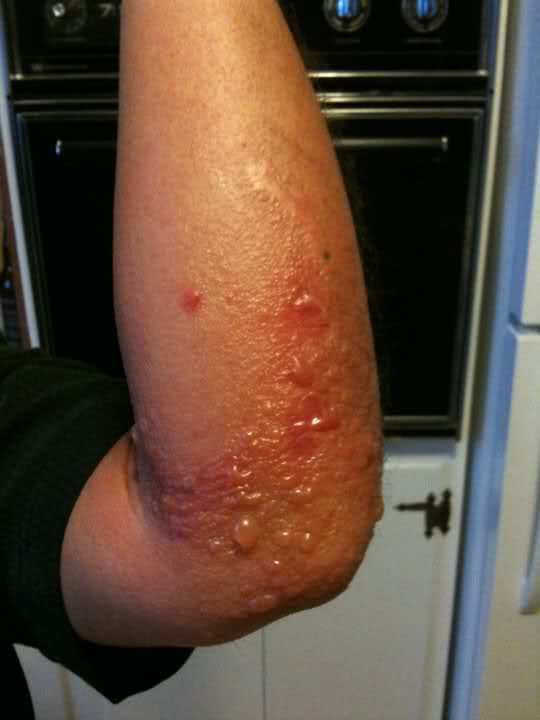 Don’t listen to the 1001 superstitions out there about sleeping upside down and eating honey from a poison oak honey bee. This is no time to risk failure. 8) If you are exposed. See a doctor and get the prescription for steroids. This is the only real cure. There is a cream, pills, shot for various severity of exposure. Oh my gosh, where to begin. 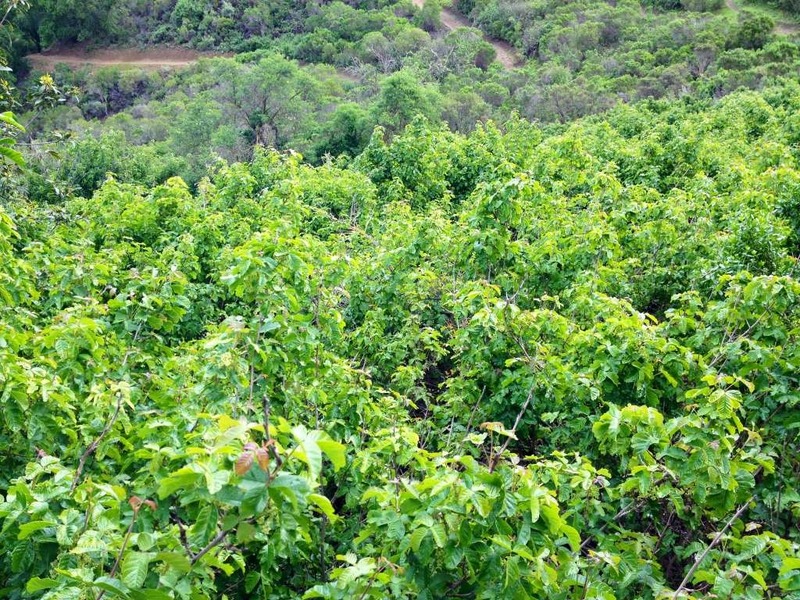 I am a poison oak/poison ivy researcher. After exposure to the plants, some of you actually go home, or wait till you are in your car before you clean your skin. For the seriously allergic, you have only a few minutes before the oil starts being absorbed into your skin and the immune system is alerted. Others have more time. Why not have your skin cleanser of choice on your bike? For the unprepared—here is what you do. Did you see the post about mud? This writer was on the right path, except you dont need water in the mixture. Dig down through the ground mulch to clay–real dirt. Clay attracts oil to itself. If the molecules are full of water, it cant, and has to dry. So mud is okay if it has time to dry on your skin, but best is to take dry dirt and scrub your skin over and over with it. You can smear your body with mud for your ride, but it will fall off. Easiest is Ivy Block, which is made from a special—yep—clay, and it does not show. It has been clinically tested and works pretty well supposedly. Zanfel has been clinically tested, and can sometimes stave off a rash if you dont wait too long to apply. Bleach will dry the blisters up, but can leave life long scars. Brake cleaner will get the oil off because it is composed of toxic petrochemicals. Tecnu has the least toxic petrochemical in it, and works well. For a rash, very hot water or a hair dryer moved in close, and removed before burning the skin works well. It too has been clinically tested and proven effective by acting on the itching nerve network. (yes itch has its own nerve network separate from the pain one. Thats why opiates will not touch itch). I used to get 6 hours of sleep from heat, but a hot shower doesnt cut it. It has to be real hot, and you just put a limb under the water for a second or two. 1) Avoidance: Learn to recognize it (that means during all seasons and at all speeds – I can even tell where it will usually grow and can identify it at speed on a mountain bike or a motorcycle). If you know it is there, avoid it. That can mean taking a different line on a trail, or even not taking a trail if you know it is overgrown. 2) Wash: Bring a water bottle with you (easier than rinsing with a hydration pack). If you know you have brushed against some, rinse with cool water as soon as possible. Do not rub, do not use soap, do not use chemicals. Rinse with cool water. If a stream is nearby, you might want to stick your arm/leg in or splash some water on the area of contact. This is followed up by rinsing in a moderately cool shower as soon as possible after returning from a ride. Don’t forget to also wash all of your gear and even to wipe down your shoes and pedals (and any other parts that potentially came in contact). Otherwise you will get contact exposure from those items later. The reason that this method works is that water apparently neutralizes the urushiol oil (the toxin in poison oak/ivy/sumac) and also washes it off. The key is to wash before it penetrates the oil layer on your skin. Some folks can tolerate the urushiol on their skin for a long time. For me, it is about 3-6 hours (long enough for a ride). Some folks will get it either way, esp. if the branch or leaves scratch your skin and break through the oil layer immediately. From what I’ve seen, keeping your oil layer intact is important (I also advise wearing full length gloves and long sleeves if it is not too hot). If you use skin products or soaps before the ride that keep your skin really dry (cleansers, alcohol, etc.) you could end up having less protection against poison oak. I think that technu provides an additional barrier (the kind you put on in advance) but I don’t think it would stop a branch scratch. I think they also have a washing product as well. I don’t use any of that. I am careful not to touch the poison oak, and I rinse immediately if I think I have brushed it. After returning home, I rinse my gear and myself before soaping up or using any other products. I almost never get poison oak anymore (yet I ride around it all the time). The exceptions seem to be when it scratches me, or if I forget to wash my gear completely after a ride. 4) Wash immediately after rides. There are many options here: Maries Ivy Soap, Technu, etc. Many including myself report that Dawn dishsoap is effective as any of the very expensive alternatives. The key is to wash quickly, wash with cool water, and get out of clothes that may have been exposed. 5) Do not scratch. EVER. So share with us your unfortunate experiences. How badly have you been exposed? How do you combat this evil weed? What is your version of poison oak in your area?